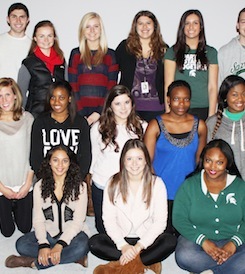 100 Questions and Answers About African Americans” is part of the Michigan State University School of Journalism series on cultural competence. This guide has sections on identity, language, religion, culture, customs, social norms, economics, politics, education, work, families and food. The guide is written for those who want quick answers to basic, introductory questions abut African Americans. It is a starting point, not an in-depth read. It is intended for people in business, schools, places of worship, government, medicine, law enforcement, human resources and journalism who want to get a fast grounding. The guide suggests resource for those who then want to go into greater depth. The guide was written in late 2015 against the backdrop of demonstrations in cities and at universities. Which is preferred, Black or African American? Why do some people prefer to identify as Black? How do multiracial people identify or fit in? What are Pan-Africanism and the Pan-African flag? Why does slavery have a lasting effect?